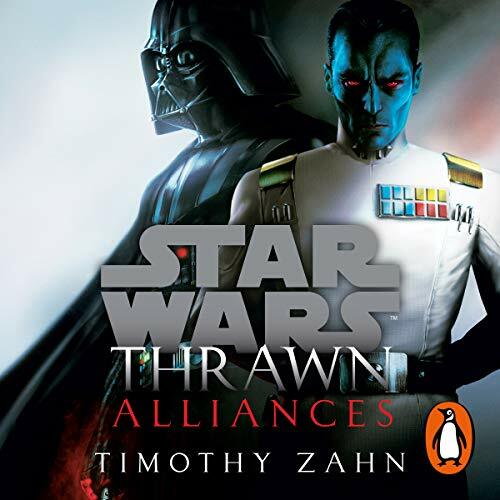 Grand Admiral Thrawn and Darth Vader team up against a threat to the Empire in this thrilling novel from best-selling author Timothy Zahn. Ominous words under any circumstances, but all the more so when uttered by Emperor Palpatine. On Batuu, at the edges of the Unknown Regions, a threat to the Empire is taking root - its existence little more than a glimmer, its consequences as yet unknowable. But it is troubling enough to the Imperial leader to warrant investigation by his most powerful agents: ruthless enforcer Lord Darth Vader and brilliant strategist Grand Admiral Thrawn. Fierce rivals for the emperor’s favour, and outspoken adversaries on Imperial affairs - including the Death Star project - the formidable pair seem unlikely partners for such a crucial mission. But the Emperor knows it’s not the first time Vader and Thrawn have joined forces. And there’s more behind his royal command than either man suspects. In what seems like a lifetime ago, General Anakin Skywalker of the Galactic Republic and Commander Mitth’raw’nuruodo, officer of the Chiss Ascendancy, crossed paths for the first time. One on a desperate personal quest, the other with motives unknown...and undisclosed. But facing a gauntlet of dangers on a far-flung world, they forged an uneasy alliance - neither remotely aware of what their futures held in store. Now, thrust together once more, they find themselves bound again for the planet where they once fought side by side. There they will be doubly challenged - by a test of their allegiance to the Empire...and an enemy that threatens even their combined might. 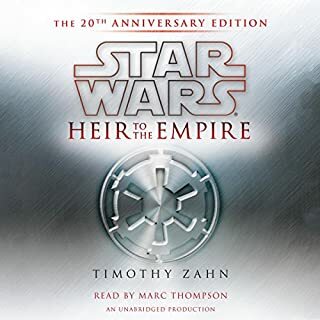 Really good pace throughout the story and links to the previous interactions between Thrawn and Anakin Skywalker. 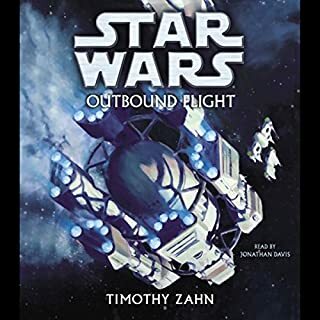 Zahn has an excellent writing style, and develops some very interesting characters as we learn more about what motivates Thrawn. 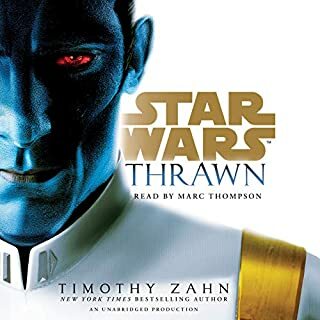 Many people don’t like the flashbacks to Thrawn’s first meeting with Anakin Skywalker, and it was certainly one reason I was hesitant to read this novel, but Zahn has captured Skywalker’s petulant impatience and stubbornness in a way that actually enhances Thrawn’s leadership. And better still, he writes Vader as a strong and confident Sith Lord- highlighting the significant changes he’s undergone. Thompson’s voice acting is sublime, adding to the personality of even bit-roles. His Thrawn is cunning and patient, but ruthless. 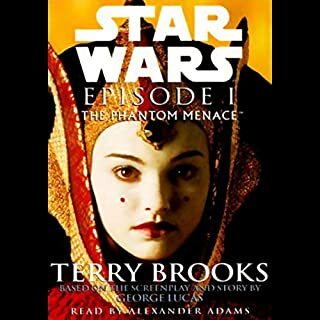 His reading of Anakin is true to the movies (for all the good and bad that entails), and his pacing is excellent. This is not a book to listen to whilst trying to sleep, but great for long drives. For some reason every time Anakin Skywalker spoke my mind's eye saw Hayden Christensen's whiney face. It got to the stage where I skipped entire chapters with General Skywalker, yes General, he has trouble counting on his fingers but he's a General of the Republic none the less. he's written like how he was acted, like a whiny bumbling sap. I decided to skip the chapters with Anakin in them because they where starting to change my view of Vader too. 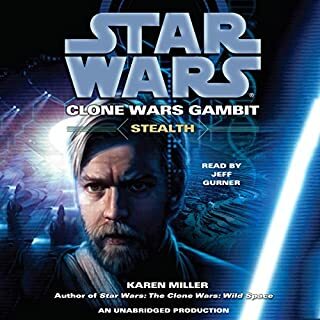 It's a great story and awesome listening, but the Starwars prequals and Hayden Christensen destroying Anakin really effected the way I took this story in. I'll wait for the final book and call it a day with Starwars. Becoming a bit of a fan of this writer and VA. Also the production, with the perfectly done effects and of course music, is very slick. Top notch work all round. story was great, performance was good for the most part, but they really should have used a female voice actor for the female roles. A bit too much all over the place but good enough quality just wish it would be a bit more cohesive. A Darth Vader as you can't imagine. and Thrawn being Thrawn. let's hope they take some of this store to make a new cartoon between Grand admiral Thrawn and Ezra in Unknown region of the galaxy far far way. I did enjoy this book, but it wasn't as good as the first. 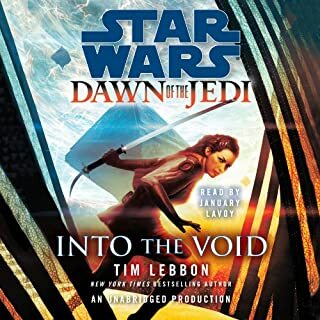 I missed Eli vanto in this,but I assume he will appear in the third book. I wish there was more Vader and thrawn and less of Skywalker and thrawn, but other people may like that more. overall a good book and we'll read by Marc Thompson. Good story but not as good as the previous book. A decent enough story, but I felt overall it wasn't as good as the previous book. Although it still managed to keep my attention I didn't find it as gripping. It literally is just about anakin, padme, thrawn and vader. As usual, the work of Timothy Zach never fails to remind me why I love STAR WARS so much, and of course, Mark Thomson's delivery is superb. 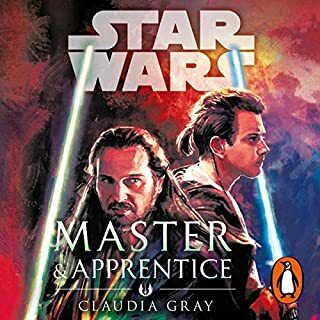 This book very quickly became the Anakin and Padme show. I enjoyed the first book, but this one seemed to clash with mixing characters from the movies with someone only ever in books. Narrators female voice is laughable and the whole performance was trying too hard, but maybe more noticeable due to the weak story. I struggled to get to the end. Thrawn and Vader together what's not to like. 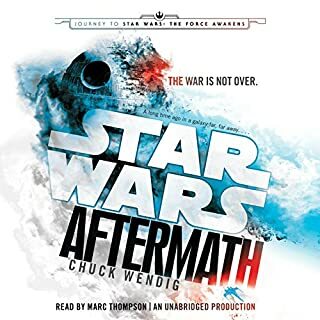 Marc Thompson gave his normal perfect performance, star wars audio is not the same if its not Marc reading. To be honest about the story not one of Timothy's best but still enjoyable. 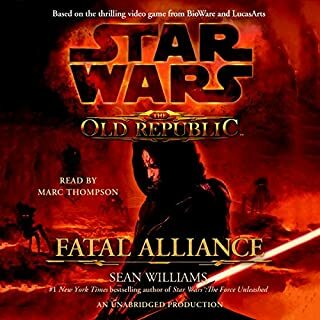 A very satisfying next instalment in one of the best Star Wars stories. This follow up to the first Thrawn book takes a very different approach but is no less exciting and tense. 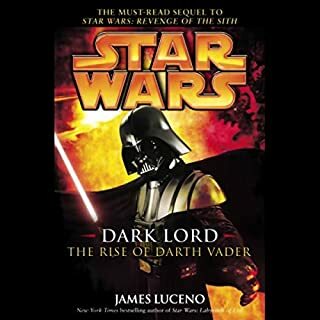 Where as in the first book you always felt that Thrawn was the smartest and most powerful person in the room, in this book the addition of Vader creates a whole new dynamic. 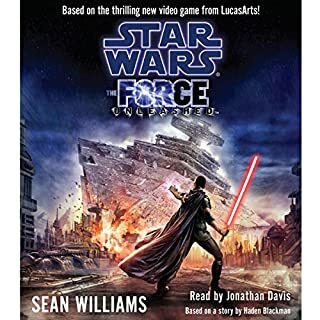 If you are a Star Wars fan, this is top year extended universe reading. 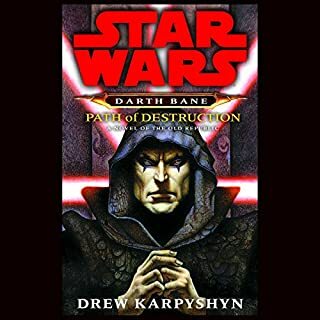 a very decent read for those who are fan of Thrawn and his tactical mindset.